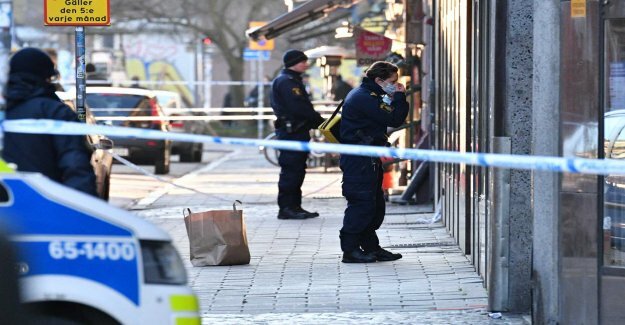 "On 12 december last year, shot a man in his 50s dead at Södra Skolgatan in central Malmö. Police are seeking a man seen on a video from a surveillance camera in the area nine days before the assassination." "– It is the geographical proximity and the circumstances surrounding it as seen on the like that make this person interesting to come in contact with in the investigation, " said prosecutor Lars Morand at a press briefing on the Rättscentrum in Malmö." "It was a lot of people in the movement in the street when the man was shot to death out on the street." "– It happens in the morning just before half past nine when the victim comes out from his port and he is shortly thereafter fired upon with multiple shots. He dies shortly thereafter, " says Lars Morand." "the Shooter jumped into a waiting flyktbil." "– It means that there are at least two perpetrators." "the Police would also like to get in contact with the two people that the victim just before the murder had the company of or have met outdoors."